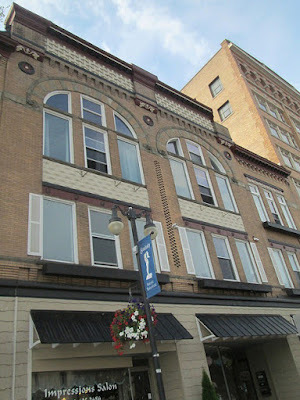 Located at the southwest corner of Market and Wayne Streets in Sandusky, Ohio, the Lea Block was built in 1895, at what is now 174 to 186 East Market Street. 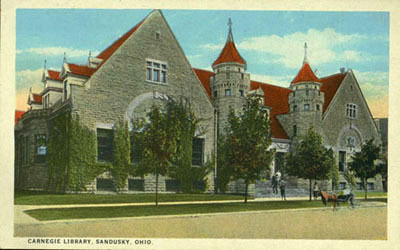 It was named for its first owner, James D. Lea, a prominent Sandusky business man. 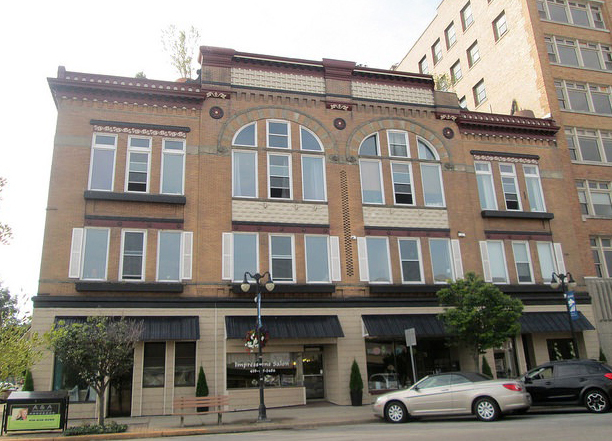 The three story brick structure was built in the Second Romanesque Revival style of architecture, and features rounded windows and corbeled brick trim. 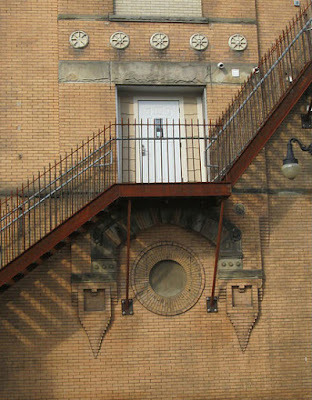 There is ornamentation both above and below the fire escape on the side of the building that faces Wayne Street. 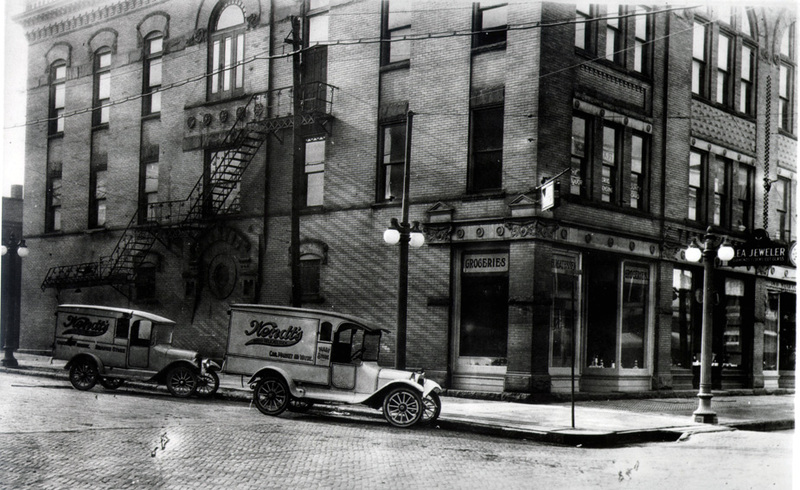 From about 1917 to 1919, the Wendt Economy Grocery was in business in the Lea Block. Wrestling matches were held on the upper level of the building in the early 1920s. In 1928 the Lea Block was purchased by the Knight of Pythias, for use by the lodge for meetings, dances and parties. 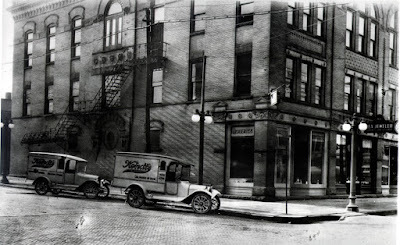 In 1936 the Knights of Pythias occupied the third floor; the second floor was home to the Oheb Shalom Jewish congregation and the Progressive Spiritual Church; and on the first floor were a music teacher, dental office, insurance agent, and two dress makers. In more recent years, the ground level of the building has been occupied by jewelry and floral shops, a finance company, a novelty business, home decorating store, and even a metaphysical shop. Read Ellie Damm’s book, Treasure by the Bay, available at Sandusky Library, to learn more about the historic architecture of Sandusky, Ohio.